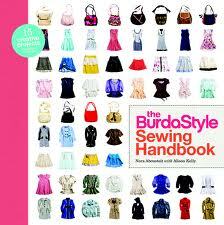 Having made my 12 projects for 2012 lists (12 dresses, 12 separates, 12 skills and 12 purchases)- I needed some substance with my dressmaking reading, so I ordered from Amazon.co.uk the BurdaStyle Sewing Handbook... its got 5 free patterns in there and that was floating my boat at €13!! Now, that is the standard 5 patterns which come with Burda FULL instructions. There are also 2 more variations given, with how to adapt the pattern provided and how to sew the item of clothing. It's miraculous how VERY different these clever people are to make these items of clothing so different to each other!! Then there are another TWELVE variations in a gallery format from BurdaStyle members of each of the 5 items... as a bit of inspiration for you to go right ahead and do what the hell you want with these 5 bad boy patterns. I have started tweeting and appreciating one of the adapters from the Book- Melissa Fehr (@fehrtrade on twitter) Go to her website (linked on the name), she has got talent!!! Lovely website and clothes and attitude... pah... some people....! Anyway, Melissa has done a really pretty adaptation of the dress from the Burda book, that is my first project from the book... hope I don't let you down Melissa!! OK, I will. I like this book A LOT but its a bit slap-dash with it's hop skip and a jump attitude to sewing. Selling itself as a general beginners book into sewing... its not. It should NOT be your very first sewing/dressmaking book. It's a pattern using and pattern adaptation book. It is the VERY first book you should buy once you have the basics and want to develop your new-found hobby. Well, that's the earliest point that you should buy this book... for an old hat at this sewing game, the inspiration and style of some of the readers contributions has no limit of help.... no matter how long you have been at this sewing malarky. This book has endless possibilities, I wish I didn't have to work and I could sew all day and try explore them all. Pah, one day. I think this book is excellent, just know what you're buying! The idea of these new books on dressmaking being out there makes my mouth dribble, the Colette Sewing Handbook, Sew Serendipity by Kay Whitt. Looks like Gertie is churning one out as I type... go for it. I'll buy it and read it, you can guarantee it! 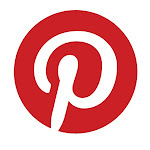 I am a consumer of information, learning and practice in this dressmaking malarky. These books are inspirational to me to make clothes, make, make and make... but keep getting BETTER. I am not longer going for making just anything, I want PERFECT and PROUD clothes. I read the book from cover to cover, just like an American boy would his fresh-from-the-printers Marvel comic book. This is my passion and I eat sewing for breakfast, lunch and tea... I know that other folk out there will agree with me. ..... see what I mean about it being a beginners pattern book, not a beginners sewing book?? I cannot wait to get paid to buy fabric and patterns!